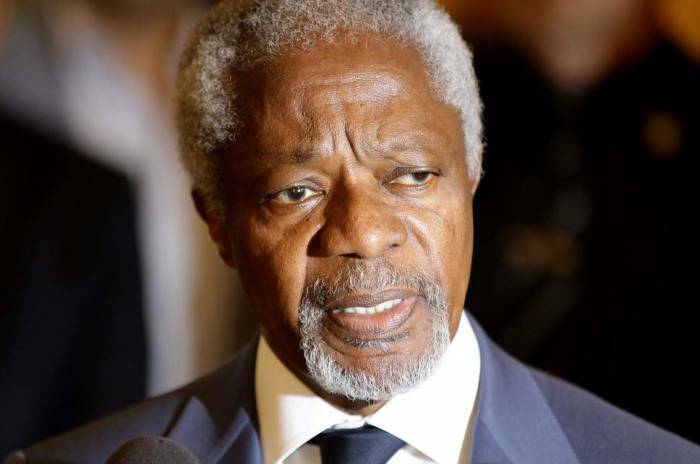 Nobel Peace Prize winner and former UN Secretary General Kofi Annan has died aged 80. The United Nations Migration Agency confirmed his death writing online: "It is with immense sadness that the Annan family and the Kofi Annan Foundation announce that Kofi Annan, former Secretary General of the United Nations and Nobel Peace Laureate, passed away peacefully on Saturday 18th August after a short illness"
Mr Annan served with the UN from 1997 to 2006. He was awarded the Nobel Peace prize in 2001 jointly with the United Nations organisation for his efforts to 'revitalise' the UN and for 'having given priority to human rights'. Read the original article on standard.co.uk.